Pulse Solenoid Valve is the main control equipment in the dust cleaning system of pulse jet dust collector. Pressure Rating: 0.6 bar to 8.5 bar max. We take pleasure to introduce ourselves as one of the renowned firms for providing the best-in-class range of Pilot Operated Piston Type Solenoid Valve. We are a highly acclaimed name in offering best quality Pulse Jet Valve. These can be availed at highly affordable rates as per buyer requirements. 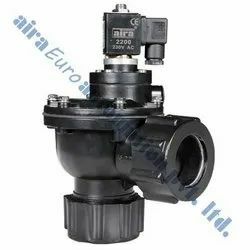 Size: 3/4", 1", 11/2"- 3"
Being a client centric organization, we offer the exclusive range of Pulse Type Solenoid Valve. 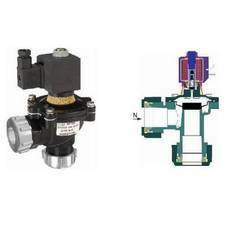 Our ranges of Pulse Type Solenoid Valve are obtained using the high-quality raw material. They are widely demanded in the domestic and international market because of their reliability and excellent performance.